There's a new one in our series, A Pine Barrens Take. Creedence Clearwater Revival's Down On The Corner is taken, messed-with, and now ours to give to you. Get this for free while you can. TAKE4. Released February 20, 2014. Creedence Clearwater Revival perform their song Down On The Corner. Evan Wilder finds sounds, performs djembe, edits the warp points and arranges. 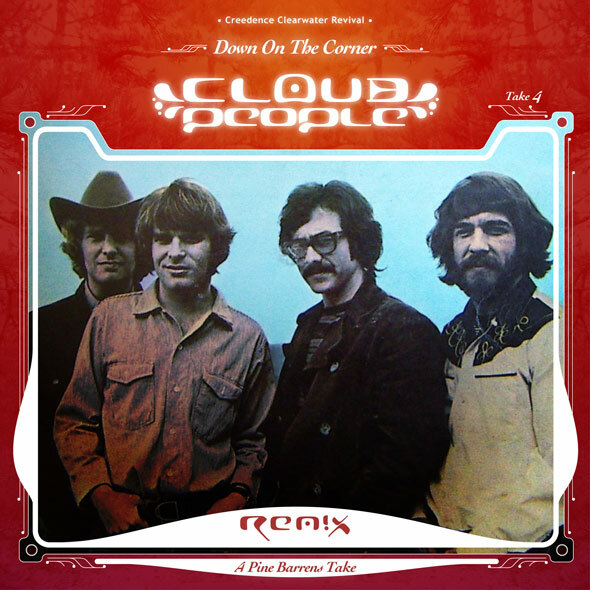 Cloud People call upon Impact All Stars to salvage Creedence Clearwater Revival in the mix.